It has been nearly two years since the last update of Goyard’s prices in Singapore (yes, how time flies), and yes, it’s time for another one, since so many of you here love love love the French atelier that has been releasing more and more bags of late. And because there’s new, some of the old are also gradually being discontinued, which is also why you won’t be seeing them on this year’s tabulated list. And while one isn’t exactly sure which bags would be discontinued first, the advice is pretty straightforward. 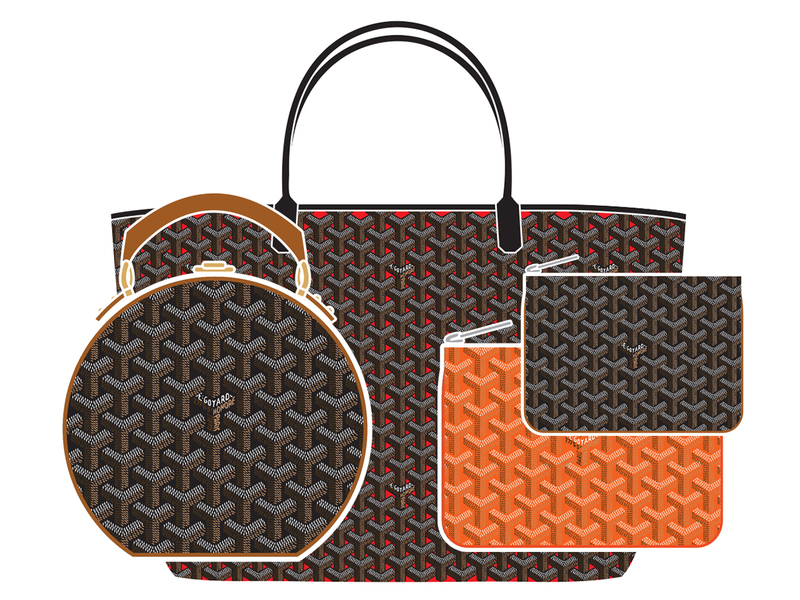 If you’ve always wanted something from Goyard, head down soon and just bite the bullet, because once it is gone, it’s gone. And like the previous list, prices are first for the bags in regular colours (in this case now it would be Black/Tan and Black), with everything else including Red now classified as special hues. Lastly, if there’s anything you want but isn’t listed below, leave a comment and it will be updated accordingly. Thanks! Hi, do you know the prices for the Saint Sulpice here in Singapore? For the classic and seasonal colours respectively? Hi, may I know how much does the black Hardy cost? Hello, do you happen to know if they have Saint Lucie here in Singapore and the price? Is Paris price same with SG? Nope. Always lower in the country of origin, and in this case, Goyard is from France. I am contemplating a St Louis PM to use daily (nothing heavy just my LV mini pochette, phone, sunnies and a book). How does the St Louis hold up in terms of wear? I read a lot of forums that the corners scuff through after a couple of years. Is this true? I think scuffing appears when the tote is heavily used, and so long as you take care to rotate your bags regularly and not heavy too heavy a load, it should be ok. I have 2 GM totes since 2012 and they are still fine. Cheers! Hi there i will be heading to Paris and the UK, for Goyard’s messengers for men do you have any recommendations?Urbain? Thank you! Hey Andy, I really like the Belvedere, see if you can try the largest one one for size. Cheers! What about the Bourget 4. The luggage carry-on in Black? Thank you! Why is there 2 prices for the same bag? Coz Goyard sells them by colour. Some colours are one price, the others are another price. Do you think they would have the Belvedere PM or Saint Louis PM in their shop? I visited last year and sadly I couldn’t find either of them. SL yes. Belvedere I’m not too sure. Hi there, for Asia, is Goyard cheaper in Singapore, HK, or Japan? SG and HK should be around the same, Japan is the most ex of the 3 here.